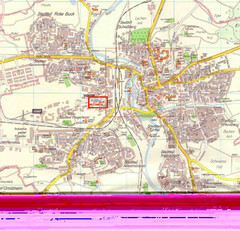 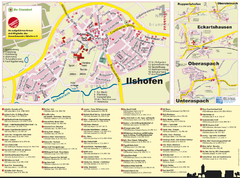 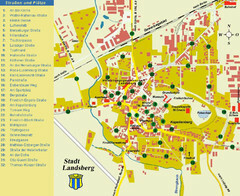 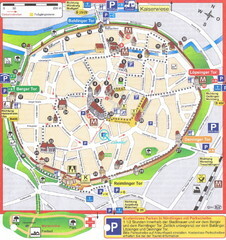 Shows central Augsburg and its sights. 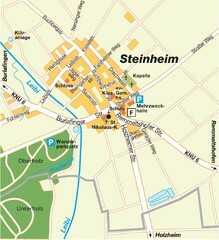 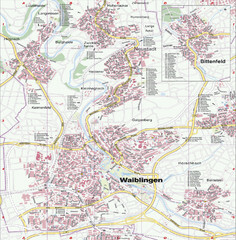 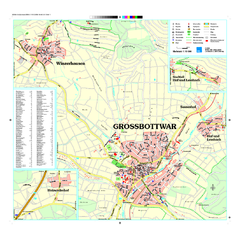 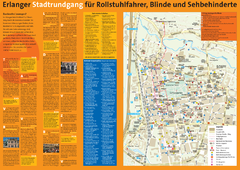 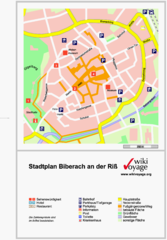 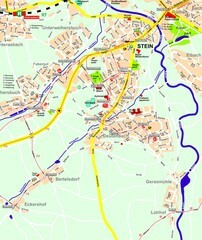 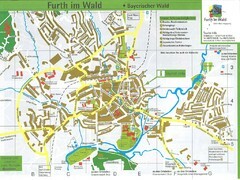 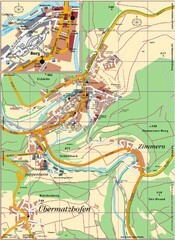 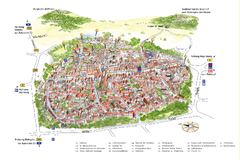 Street map of Stuttgart, Germany. 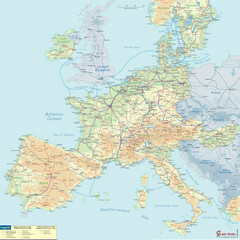 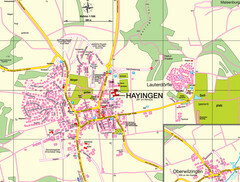 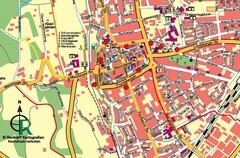 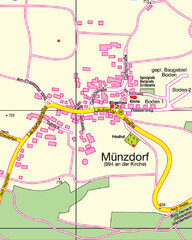 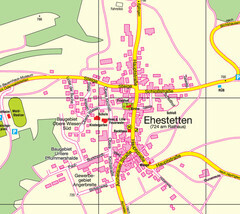 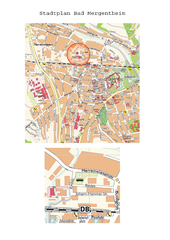 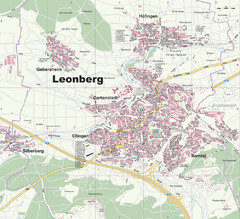 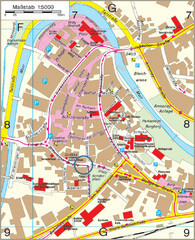 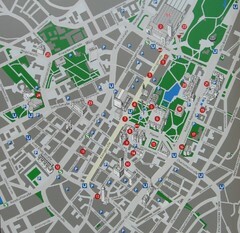 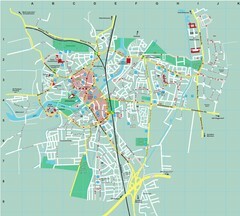 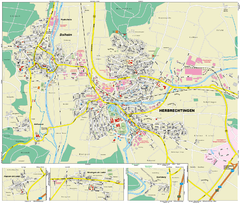 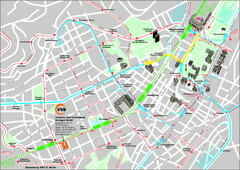 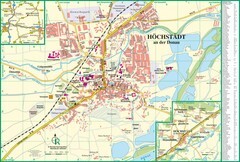 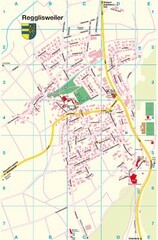 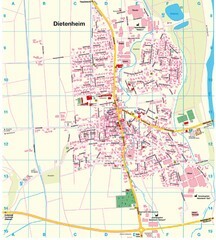 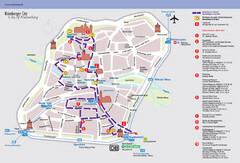 Show major buildings and public transport routes.